Ultrasonic wave oscillator, Intermediate-frequency ultrasonic wave oscillator, Resonating unit, Vacuum deaerators, Desktop/Intermediate/Large-sized autoclaves. 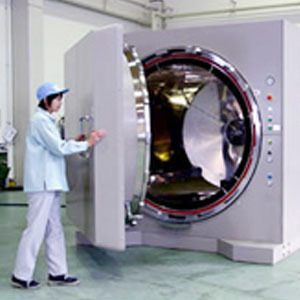 Low frequency ultrasonic generators, intermediate frequency ultrasonic generators, ultrasonic transducers, vacuum degassing system and Desktop/medium-sized/　Large-sized autoclaves. We would like to assist you as a manufacturing partner in every aspect – from planning, designing, manufacture, quality assurance and technical support. Chiyoda Electric Co., Ltd. aims to ensure that various medical instruments to be cleaned and sterilized in the clinic. 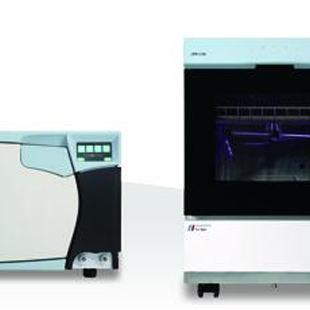 We develop, manufacture and sell "Washer Disinfector" and "Desktop sterilizer" conforming to international standards (ISO) and European EN standards, aiming at infection prevention and medical safety. We also manufacture and sell automatic endoscope disinfector for otorhinolaryngology.